The ECR has a new look… and, kind of like the barkeep kicking you out after you spilled that third drink, you probably saw it coming. First was the Troll, then the Ogre, so it was pretty obvious the ECR was next. Along with its younger siblings, the ECR gets new dropouts that are 10/12mm axle compatible, and a fresh look at the geo. Like we’ve done for several of our newer releases, I’m going to attempt to head off most of your questions and let you know what’s new and why. This is big change #1. The XS, and SM, only come with 27.5+ wheel sizes, the MD can be bought as a complete with 29+ or 27.5+ wheel sizes, and the LG and XL only come in 29+. 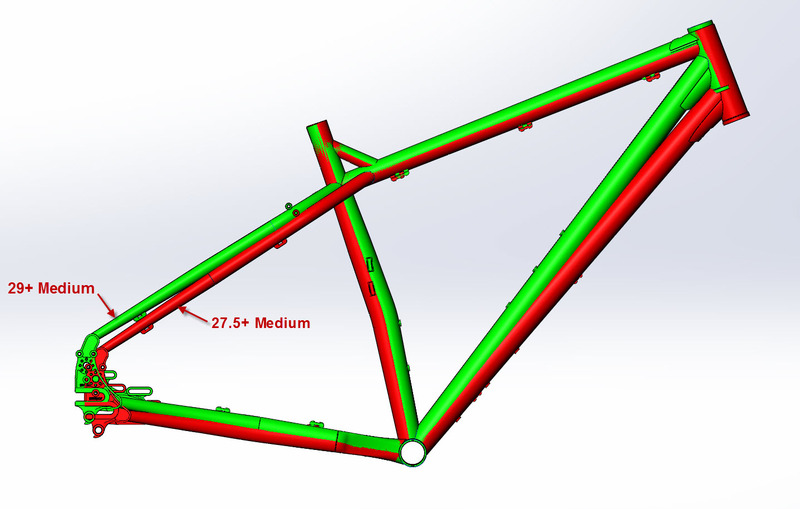 The frames have been re-engineered around their new given wheel size. In other words, the 27+ MD is a completely different frame than the 29+ MD. Why? 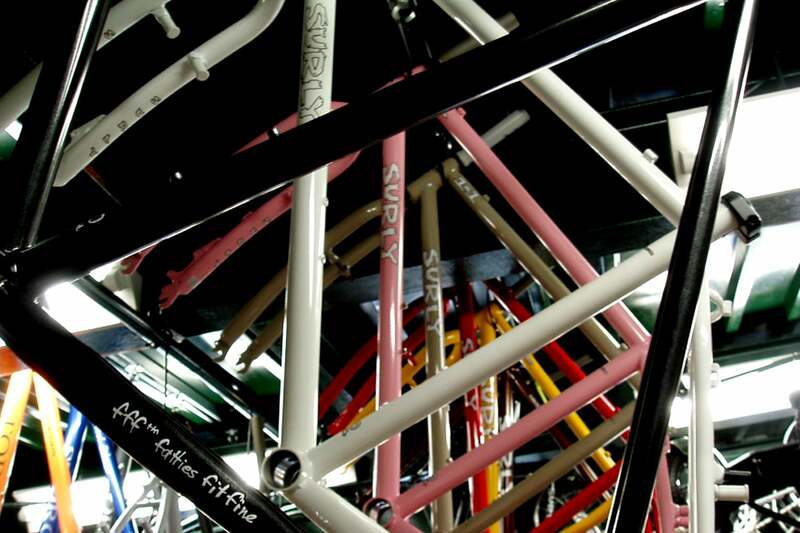 Because we believe in putting out bikes that have the best fit for their riders. The 29+ platform is great for many applications and many riders, but for smaller people the benefits sometimes outweigh the costs. The large wheels coupled with a small or extra small frame required a high stack that wasn’t ideal for handling characteristics. By going to 27.5+ wheels we could reduce the stack and create a better ride feel that doesn’t put the rider so far “in” the bike. The smaller wheel diameter is also a bit more manageable for smaller riders. If you ride a medium you get to pick, better rollover of 29+, or less weight of 27.5+. Don’t worry, you’ll still get all the benefits of the 3” Knard just now in a 27.5+ package. But the Ogre can run 27.5+ tires, why wouldn’t I just get that? The ECR also comes with a proprietary cast yoke, is disc brake specific, plus size specific, and has different handling characteristics that make it even better for off-road riding. Just like the new Troll and Ogre, the updated ECR is built around the new Troll dropout and 12mm x 145mm Surly Gnot-Boost spacing. This allows the use of either 12 x 142mm thru axle hubs or 12 x 148mm Boost thru axle hubs. By using Surly 10/12 Adapter Washers you can also run 10 x 135mm bolt on or 135mm QR hubs. The dropouts maintain the ability to concurrently run a rack, fenders, a trailer, and a Rohloff hub if you so choose. How is the new ECR’s geometry/handling different than the ECR I already have? We used the tried and true cast yoke that was on the previous generation of ECR and Krampus so the chainring clearance hasn’t changed. There’s clearance for a 22/34/44t triple, 26/39t Double, or a 34t single ring. With Boost cranks you could squeeze a 38t ring in there. For the most part, no. All the 29+ compatible forks are too long for us to endorse. You could run a standard 80mm 29er fork on the 29+ models, but the stock wheel and tire won’t fit in that fork. 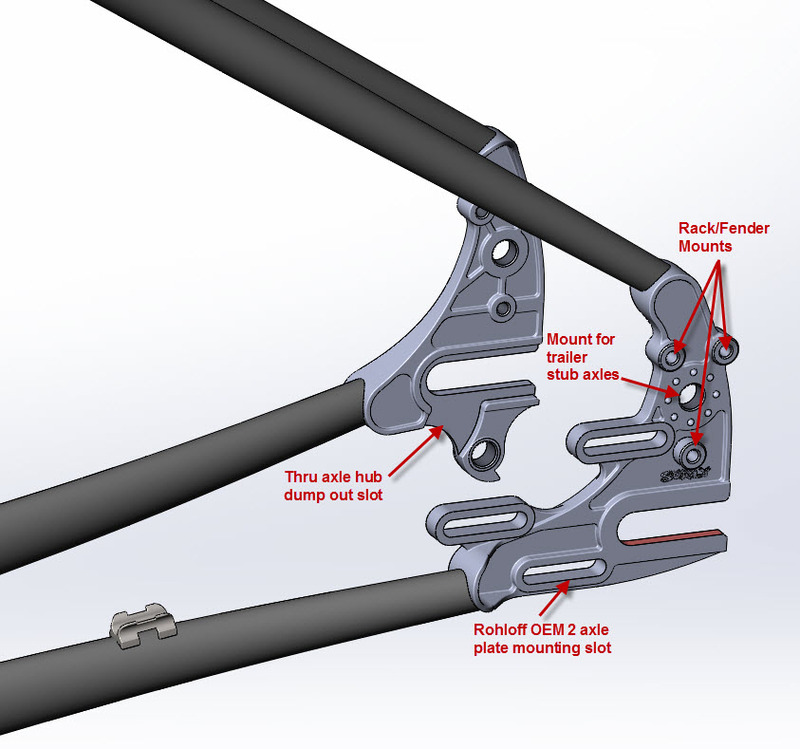 The 27.5+ models aren’t compatible with any suspension fork lengths. Yes, and no. Both the 29+ and 27.5+ models will come with tubeless ready rims, and the new 27.5+ Knard has the Surly tubeless ready bead on it. That means the 27.5+ models are good to go out of the box. 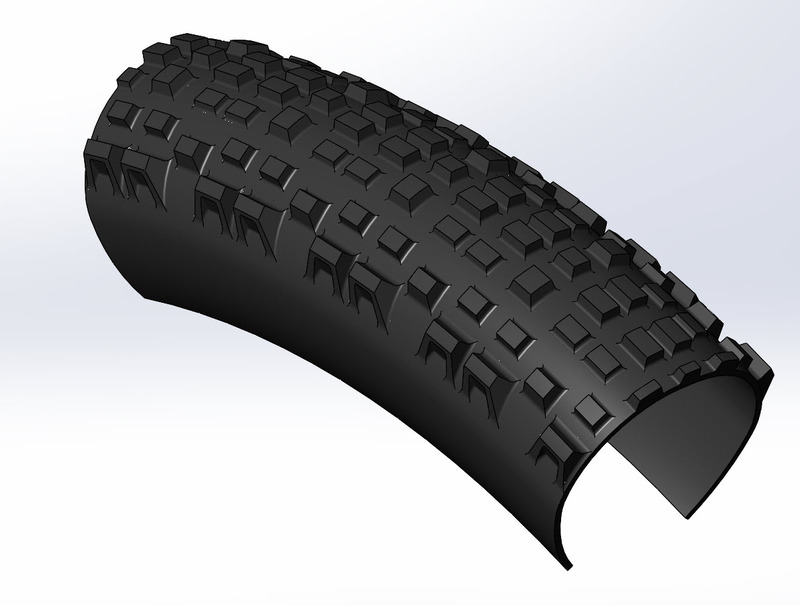 The 29+ Knard was designed before we had a tubeless bead so we don’t technically endorse setting that tire up tubeless. What other barnacles come standard? The frame features Surly Trip Guides for full length external cable routing, bottle mounts on the top and bottom of the downtube, and a seat tube water bottle mount (the 27.5+ frames do not have a seat tube bottle mount). To finish it off, the rear end of the frame has barrel bosses on the seatstays, and seatstay and chainstay bridge mounts for fenders. When the ECR first came out there was some discussion surrounding the BB drop, specifically how it was rather large at 80mm. Sure, when looking that number in a vacuum it does seem like a lot, but you should remember this was an entirely new wheel platform. 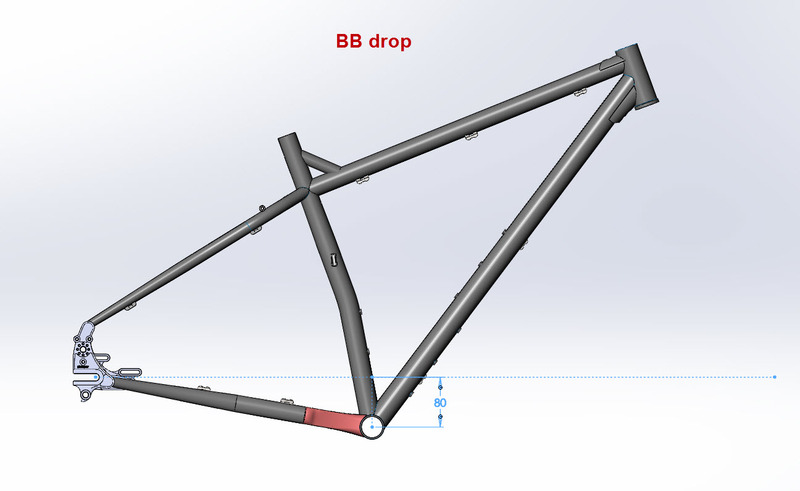 The additional diameter of a 29+ tire necessitates a larger bottom bracket drop to keep bottom bracket height in line, especially on a bike that will be ridden primarily loaded up. The bottom bracket drop also helps the bike feel more planted and gives the feeling of being more “in” the bike than “on” the bike. That doesn’t mean we didn’t consider that these bikes will be ridden off-road, and nobody wants to hang up on a log or rock. 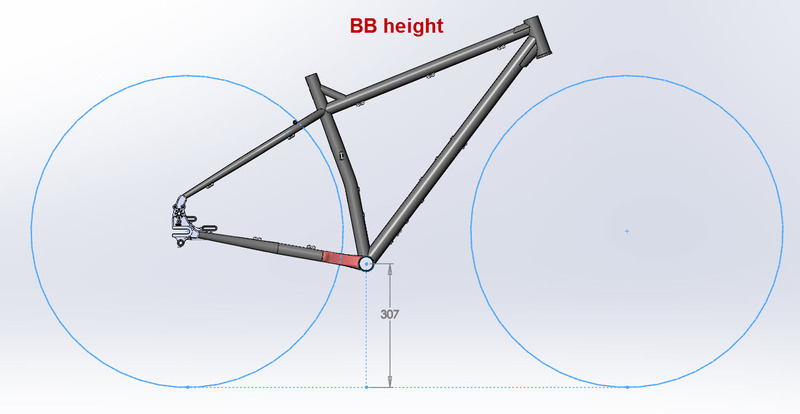 Comparing the bottom bracket height of our off-road touring models to that of our trail bikes, you can see that even though the bottom bracket drop is larger, they all have respectable bottom bracket height for off-road riding. In closing, we tried to keep everything you liked about the ECR, but also make subtle improvements to future proof certain aspects of the frame. The new dropouts will make sure you can use your old wheels, or build up a shiny new Boost thru-axle wheelset. The wheels are now tailored to help the bike fit the rider even better than it did before and get you lost in the woods - if that’s what you’re into. They’ll be in stock in the first half of August, so let your local bike shop know you’re looking for one, and they’ll get you going.